Clashnessie Bay is a small sandy beach with a mild microclimate, due to the closeness of the Atlantic Ocean Gulf Stream. 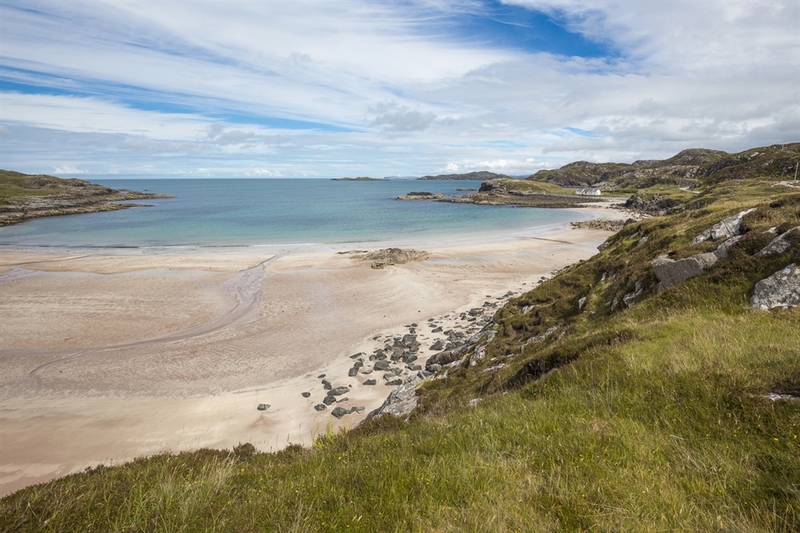 Situated ten miles north of Lochinver, Clashnessie Bay is a clean, quiet and beautiful beach. With a rocky inlet and a big sandy shore, the beach is a fabulous adventure for children and full of things to explore. A short walk upstream will take you to the Clashnessie Falls, a fifteen meter waterfall, dropping from the lochans above. 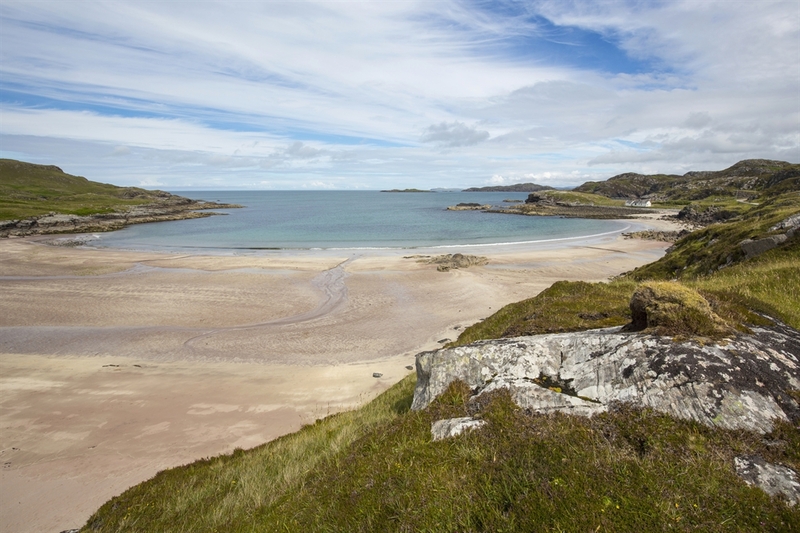 Clashnessie Bay is famous for its ever changing weather and water colour, from tranquil turquoise to white foamy waves.